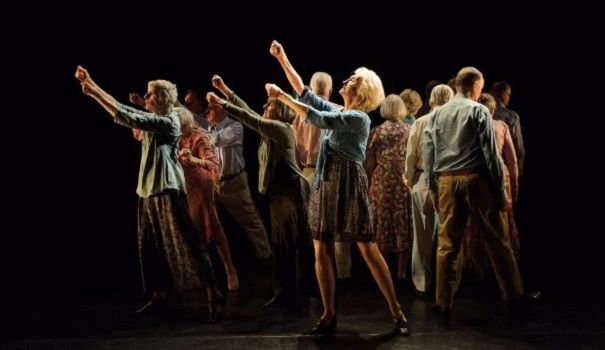 Sadler’s Wells is inviting applications from over 60’s groups across the country to perform in Elixir Extracts, part of Elixir Festival 2017. Elixir Festival will return from 23-27 June 2017 and is made up of KnowBody II, the main stage programme at Sadler’s Wells, seminars, workshops and three mixed programmes in the Lilian Baylis Studio. We’re looking for a diverse range of dance works of approx. 5 – 8 minutes in length to be performed in the Lilian Baylis Studio on 24 & 25 June. For further information and to download an application form, click here. The deadline for applications is 28 February 2017. To find out more about Elixir Festival, watch the film from Elixir 2014 and hear from performers involved in the festival.